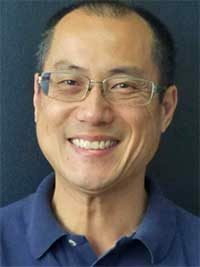 Lawrence Lau is President/CEO of Yo San University, and brings to YSU over twenty years of combined experience in academic affairs, curriculum development and integrative medicine. He graduated from allopathic medical school in Singapore, where he was in private practice for several years before moving to Hong Kong for advanced training. His interest in Traditional Chinese Medicine brought him to California, where he earned a master’s degree in Oriental Medicine from Samra University and obtained California acupuncture licensure. Lawrence joined Yo San University in 2001 as Dean of Clinical Education, and eventually assumed academic leadership responsibilities for both the MATCM program and overall clinical affairs. A strong proponent of integrative evidence-based complementary approaches to patient care and wellness, Lawrence was instrumental in setting up various integrative clinical externship sites for Yo San University, including the Venice Family Integrative Chronic Pain Clinic collaboration (2006 – current), the Premiere Oncology Foundation/Yo San University Integrative Clinic program (2007-2011), the Children’s Hospital Los Angeles (CHLA)/Yo San University Pediatric Acupuncture program (2009 – current), and the acupuncture wellness program at LAC+USC Medical Center Foundation’s Wellness Center at the Historic General Hospital (since 2016). 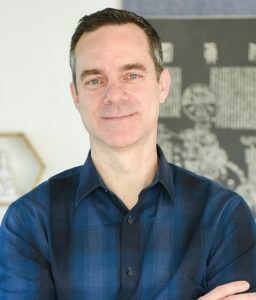 Lawrence also teaches courses in Integrative Care and TCM Health Cultivation in both the Master’s and Doctoral degree programs at Yo San University, and maintains a private acupuncture practice at Yo San University. 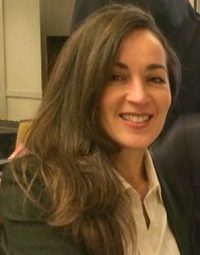 An experienced enrollment and marketing executive with over 17 years’ experience, Daouia started her career as Admissions Director at the American Intercontinental University in Los Angeles. Daouia was the Director of Admissions at Yo San University from 2005-2012 before she left the University to pursue her own business interests in wellness and nutrition.Daouia holds a Bachelor of Science degree in Business Administration from Coventry University in the United Kingdom, and a Master’s in Business Administration degree from Lille University of Science and Technology in France. As Director of Enrollment Management at Yo San University, Daouia works with prospective students to achieve strategic recruitment, retention, and graduation goals for the University. 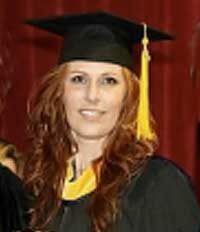 Shannon graduated from the MATCM program at YSU in August 2016. In addition to her work as Admissions Advisor in the university, Shannon is the owner and founder of 8 Rivers Acupuncture in Los Angeles, CA. Shannon has treated patients in the Yo San University Blount Community Clinic, Children’s Hospital of Los Angeles and Being Alive West Hollywood. Shannon not only has a passion for healing and education but found a calling for research and writing while editing “Acupuncture Anatomy: Regional Micro-Anatomy & Acupuncture Networks by Dr. Chang Sok Suh. She greatly enjoys recruiting new students to YSU and looks forward to teaching one day as well. Brady Chin is the Dean of the MATCM program at Yo San University, and is in charge of all academic aspects of the Master’s degree program. Brady has over twenty years of experience in Chinese medicine, qigong and martial arts. He graduated from Samra University and had previously served in various administrative roles in other TCM schools in the Los Angeles area. An active member of the acupuncture profession, Brady was a past President of the California Society of Oriental Medicine & Acupuncture (CSOMA). Ashley Wren is the Assistant Dean of the MATCM program at Yo San University, providing academic support for students in the MATCM program and assisting the Dean of the MATCM Program with all aspects of academic administration including faculty management, student academic advising, and the development and implementation of academic and administrative policies relevant to the MATCM program. Ashley graduated from the University’s MATCM program in 2013, and has served as a Clinical Teaching Assistant in the YSU Blount Community Clinic prior to her appointment as Assistant Dean. 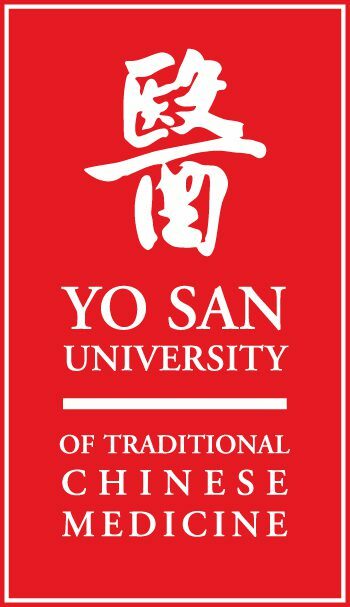 Robert Hoffman is Dean of the DAOM program at Yo San University, and is in charge of all academic aspects of the postgraduate doctoral degree program at YSU. 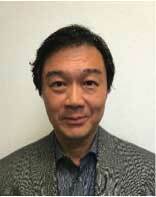 Robert received his MATCM from Yo San University, and his doctoral degree from Five Branches University. He is currently a PhD candidate at Zhejiang Chinese Medicine University in Hangzhou, China. In addition to maintaining a private acupuncture practice in Santa Monica, Robert teaches martial arts and Qigong in the Los Angeles area. Farshid Namin, DAOM, MD (Iran), LAc. Dr. Namin is most recently a graduate of YSU’s DAOM program. 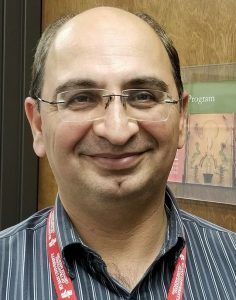 In addition to his role as a TCM professional, he brings years of past experience in International Disaster relief since gaining his MD (Iran, 1997) and MPH. 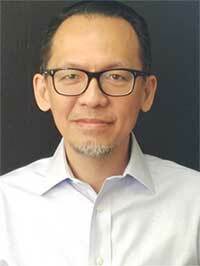 Dr. Namin is also serving patients in his private practice of Acupuncture and Oriental Medicine. In addition to his position the DAOM program, Dr. Namin is also practicing in the YSU Blount Community Clinic as a member of the select group of Clinical Practice Fellows in the clinic. Sean Gates is the Library Services Manager, assisting and instructing students, faculty and staff in all aspects of information access. In addition his role in the library, Sean is also the Student Affairs Coordinator at YSU, working with students and coordinating student support services at the university. 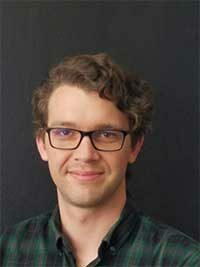 He has prior experience in public libraries and as well as the UCLA library, and is familiar with bibliographic searching, cataloging, reference service, and copyright issues. As the YSU Library Manager, Sean is very much in touch with students and student activities, and is in an unique position to manage and implement best practices towards student services objectives. Sean graduated from UC Irvine with a B.A. in English literature and from UCLA with a Master’s in Library and Information Science. 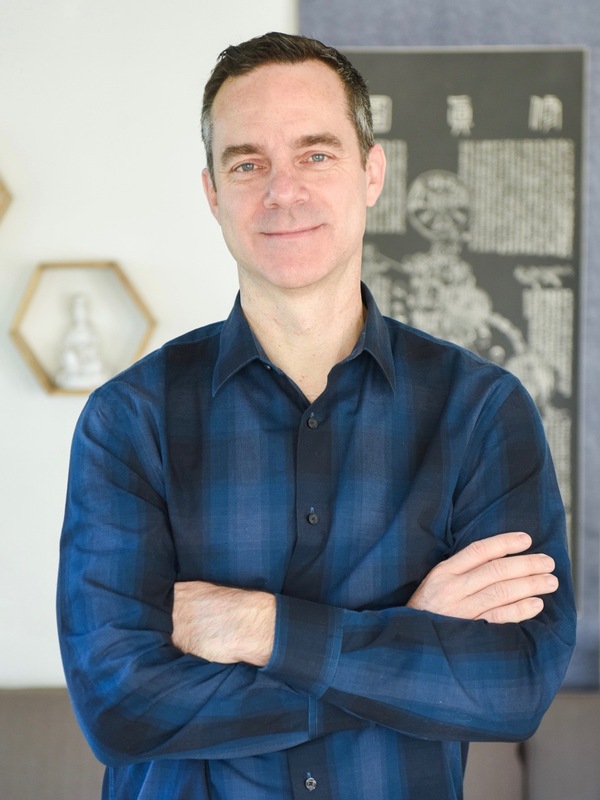 A seasoned educator with over 17 years’ experience in the TCM profession, John has held academic dean positions at several TCM Schools in the greater Los Angeles area prior to joining Yo San University. As Dean of Clinical Education, John provides administrative leadership and supervision to the training of both Master’s and Doctoral level TCM students in YSU, ensures programmatic compliance with accreditation and other regulatory requirements for clinical education, and along with the clinical faculty, develops and delivers an exceptional clinical education experience for our MATCM and DAOM students. John obtained both his Master’s and Doctoral degrees in Acupuncture/Oriental Medicine from South Baylo University in Anaheim. He also holds a Master’s degree in Administration from Central Michigan University, and maintains a part-time private acupuncture practice in Rancho Cucamonga. 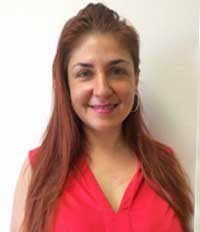 Vickie Rodriguez comes to YSU with more than 20 years of experience in customer service. She is an experienced and versatile professional who has worked in complex office operations and excels in matters related to personnel management, including recruitment, scheduling, policies and procedures, finance and payroll. Prior to joining YSU, Vickie was the Director, Support Services for Homewatch Caregivers, and has served in management positions in customer service, logistics, and as a Spanish linguist for the U.S. Government, among other roles. Her customer-focused management style is a tremendous asset to the University’s busy clinic. A YSU MATCM graduate, Kat Van Vlack is a valued resource to faculty, students and patients as Manager of the Herbal Dispensary at the YSU Blount Community Clinic. In her half-time role she provides instruction and supervision for students in herbal theory and practice courses and who are doing their practicum work in the clinic herbal dispensary. Kat enjoys facilitating the development of students’ knowledge of herbs and their facility and agility in compounding accurate herbal formulas. She previously worked at the Tao of Wellness. 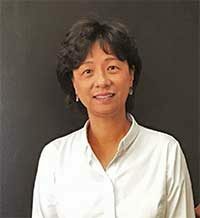 Sum-Yee Wang is a founding member of Yo San University and served as the University’s CFO from its inception in 1989. Ms. Wang brings to the University her strong business sense and strategic planning experience, overseeing the accounting, financial aid, cash flow management, payroll and budgeting systems of the University. Ms. Wang holds a BS in business administration from the University of Southern California, and a MA in psychology from Antioch University. Tora Flint is the University’s Director of Operations and has lead responsibility for overseeing the administrative office suite and building operations. In addition, she serves as University Registrar, among other activities that are essential to keep the University functional. 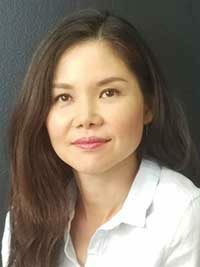 She holds a Bachelor’s degree in Mass Communications from Chiang Mai University in Thailand and a Master’s in Global Marketing Communications from Emerson College in Boston, MA. A seasoned finance and accounting executive, Edgar has over thirty-five years of highly diversified finance and accounting background, and has served in various Finance, Financial Aid and Educational Fund Management positions in educational institutions in the US. As Financial Aid Coordinator, Edgar is responsible for overseeing all aspects of student financial aid operations in YSU, from disbursement to system and procedural management, mandatory reporting and ensuring regulatory compliance. Edgar holds a Bachelor’s degree in Business Administration, and is a Certified Public Accountant. 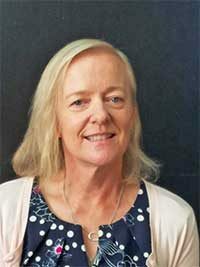 Marguerite Dunne joined the YSU team as our multi-tasking Office Manager, whose responsibilities include staffing the Administrative Suite front desk, responding to myriad student and faculty questions, processing course evaluations, and ably handling an array of general office duties. A native of Ireland, Marguerite also lived in the U.K. before settling in the United States. 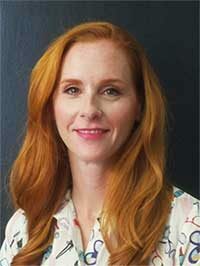 Her professional background is in publishing/advertising sales and, prior to joining Yo San, Marguerite was the West Coast sales coordinator for Hearst Integrated Media; an account manager for Fox Associates, Los Angeles, and sales coordinator/office manager for Rodale Press Runner’s World and Bicycling Magazine. Jyotika Pratrap grew up in the Fiji Islands and migrated to the U.S. in 2001, where her first position was as a customer service representative at Longs Drugs Store in Santa Monica. A year later, she joined Yo San University as an administrative receptionist and subsequently “moved” to Yo San University’s clinic as lead front desk staff. After working in the YSU Clinic for approximately five years, she was appointed Assistant to the Controller/Bursar in the University’s accounts office and has held this position since 2008. 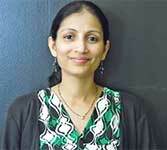 Jyotika earned her diploma in Information Technology (software development) from Boxhill Institute of Technical and Further Education in Lautoka City, Fiji Islands. She has advanced her professional education by completing a series of accounting courses at the West Los Angeles College in Culver City.